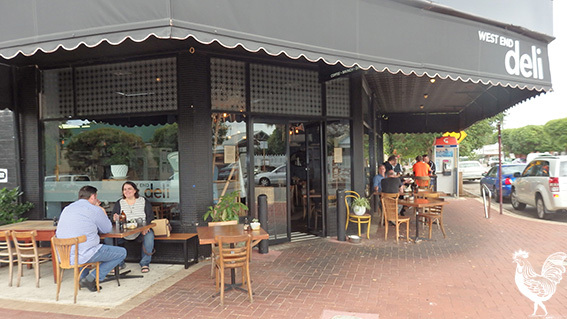 DESPITE having lived in the bustling inner city suburb of West Perth for little over a year now, I have never fallen victim to the incessant social media hype surrounding the quaint café located just minutes from my home. The West End Deli has sent local millennials into overdrive by crafting Instagram-worthy culinary delights. Early Monday mornings have always been a perpetual struggle for a night-owl like myself, so my first visits to the café were just hazy memories of waiting in line for a triple-shot latte. If I could muster up enough energy to turn my head, I would often find myself enviously gazing at the meals of more enthusiastic patrons. “One day…”, I would noncommittally mutter to myself. Either the universe shifted or my internal body-clock has numbed with age, but this week I found myself bright-eyed and bushy-tailed, eagerly sitting down to an early breakfast at the West End Deli. The coffee is as smooth and invigorating as ever, although I do recommend ordering a large if you need a bit more pep-in-your-step that day. Not only do these brews look pretty, but upon first sip I knew that West’s baristas were the real deal. Examining the short yet diverse “brunch” menu, I couldn’t help but feel incredibly hip. I had witnessed the pleasure that this breakfast-lunch hybrid could bestow upon twenty-something New Yorkers in my favourite sitcoms, but I had yet to engage in the practise myself. Some of the trendier meals included the house granola with mango panna cotta, lychee and coconut ($14), and the stretched curds with kale, avocado, preserved lemon, dukkah and poached eggs ($21). Being awake before 8am was enough of a shock to the system, so we decided to keep it simple with some waffles ($15) and an omelette ($20), with a side of avocado ($6), hash browns ($4.50) and toast ($7). 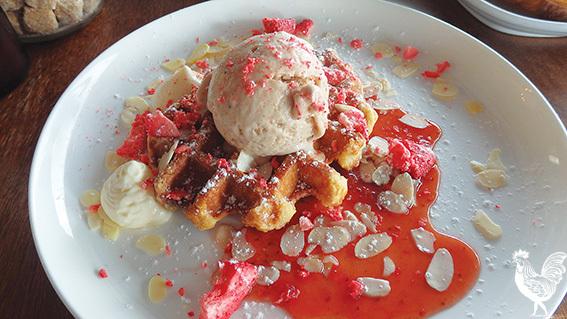 The waffles were everything I had hoped for. Beautifully and thoughtfully presented, the golden delight was adorned with lashings of expertly-placed toasted almonds, whipped cream and strawberries, all crowned with a dollop of scrumptious berry ice cream. My hand was tingling from the overpowering urge to grab my camera and capture their beauty before an untimely and delicious end. 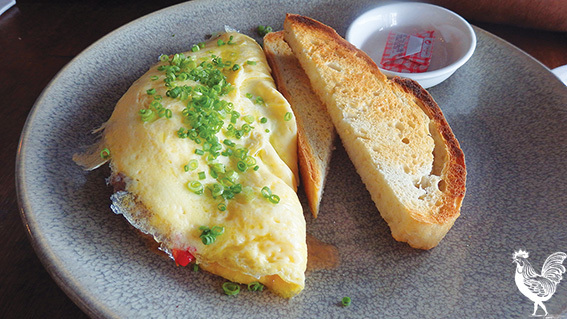 The omelette, while less visually impressive than the waffles, was a joy to devour. It was light, fluffy and full of delectable artisan ingredients like roasted peppers, basil, cotechino sausage and provolone cheese. The avocado was wonderfully smashed together with a melody of mint and peas, which made it the perfect accompaniment to the sourdough toast, while the ‘smoked potato’ (a fancy hash brown) set the bar for our next hungover trip to the local grease shack. The West End Deli truly lived up to the hype. With addictive coffee and stunning meals, this charming café will feed your stomach and your soul. Have your cameras ready! #delicious.